Many PGT students will be starting their programme of study this January. Before you start your study take some time to prepare. Think about how you work best, what can you maximise on and where can you improve? These quick consultation sessions are open to any on-campus taught postgraduate students at the University of Edinburgh. To find out more and to book a place, please click here. Please note: places are limited. This half hour one-to-one session with a Study Development Adviser can help students develop effective study strategies and enhance current study skills. The session could be used to discuss such things as (but not limited to) effective reading, time management and dissertation planning. It is important for student to have in mind one or two specific study skill issue(s) you wish to discuss. If you need to cancel or change your appointment, please do so at your earliest opportunity and at least 3 days before the appointment. Someone else may be able to take your place, but we need time to contact them. 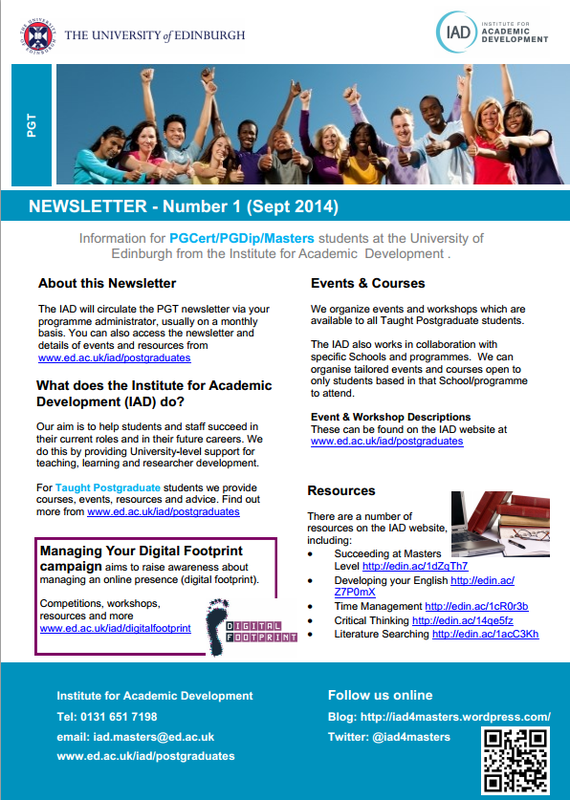 Please email iad.masters@ed.ac.uk if you wish to cancel or change your appointment. Please note that some of the workshops will not be open for booking until 1-2 weeks before the event, as demand is high. If you need to cancel your booking, please do so at your earliest opportunity and at least 3 days before the event. Someone else may be able to take your place, but we need time to contact them. Also, although you are not charged for an event, there are costs we incur (e.g. photocopying) which relate directly to places reserved. How to cancel: You can cancel your booking via MyEd Event Booking Channel. Click on “My Bookings” – here you will have the option to cancel your place. We maintain attendance registers; unexpected absences will be noted. If you consistently fail to attend, or repeatedly cancel with very short notice, you may be prevented from booking future IAD events. This is an online drop-in session with the Online Learning Support Team, designed for you to ask any questions about starting and getting prepared for your Online Distance Learning (ODL) course at Edinburgh. There will be members of Information Services (IT and Library Support) and Institute for Academic Development (IAD – PG study support) staff available at the session to help you orient around our online provisions, as well as providing a space just to talk about what it’s like to be an ODL student. Cancellation Policy: If you need to cancel your booking, please do so at your earliest opportunity and at least 3 days before the event. Someone else may be able to take your place, but we need time to contact them. Also, although you are not charged for an event, there are costs we incur (e.g. photocopying) which relate directly to places reserved. A warm welcome to our new postgraduate students at the University of Edinburgh. 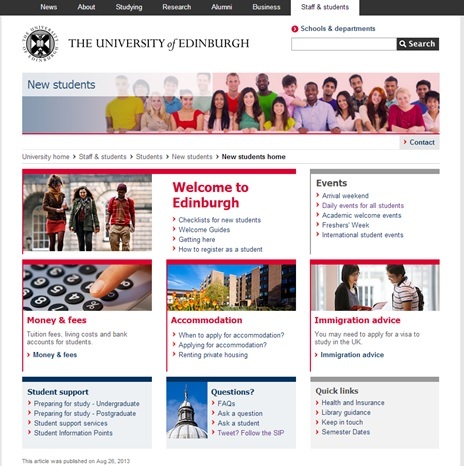 Frequently Asked Questions are now available on the new students pages (online distance learning) http://edin.ac/13AW1IW. ILW Student Funding Now Available! A bouquet of sharpened pencils, and the joy of fresh, blank notebooks can mean only one thing: it’s September already. Another start to the academic year is upon us, and yet again we are all becoming excited by trips to stationery shops. But a fresh batch of multi-coloured Post-its® is not all students at the University of Edinburgh have to be pleased about. This year, for the first time, Innovative Learning Week is providing funding for student-run events. For anyone who hasn’t heard, Innovative Learning Week (ILW) is a week where ‘regular’ teaching is suspended, and instead students (and staff) are invited to take part in a variety of creative, fresh, different and challenging events. This year’s Innovative Learning Week is taking place from 17-21 February 2014, and it’s never too early to get thinking about brilliant events! 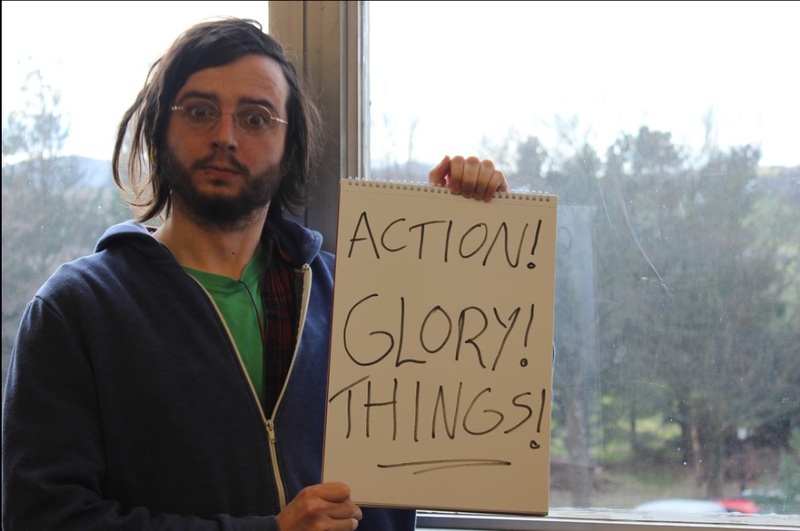 Photo Caption: Patrick Fenner’s 3 Words about ILW2013. Photo by Stella Archer. Students across the University of Edinburgh, including all postgraduates, and online distance learners, are eligible to avail of this great funding opportunity and lead their very own innovative event. Student societies are also welcome and encouraged to take advantage of this funding. So get your thinking caps on now, check out the bidding guidelines, and fill out an application form, all available on the ILW Webpage. Submission deadline: 5pm November 8, 2013. Branch out, and get innovating! That beautifully blank piece of paper beckons…. 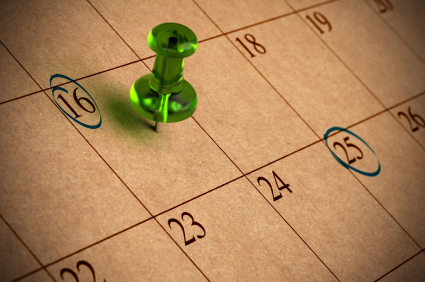 (PGT) Managing your time, your goals and your life! How to cancel: you can cancel your booking via the MyEd Event Booking Channel. Go to the “My Stuff” tab within MyEd and then Event Booking. Click on “My Bookings” – here you will have the option to cancel your place. The Institute for Academic Development (IAD) aims to help students succeed in their current studies and in their future careers. There are three sessions running in induction week (9-13 Sept 2013), which will include a very short presentation and an opportunity for you to ask questions about how the IAD can help you, while you are studying at the University of Edinburgh. Lecture Theatre 1, Institute for Academic Development, 7 Bristo Square. This is an open session for postgraduate taught students – no booking is required and you can leave at any time. This is an open session – you can leave at any time. As this will be a blackboard collaborate session (online), booking is required in order to received the workshop link to join the virtual session.